The original dungeon defense game returns, but not to the PC from whence it came. 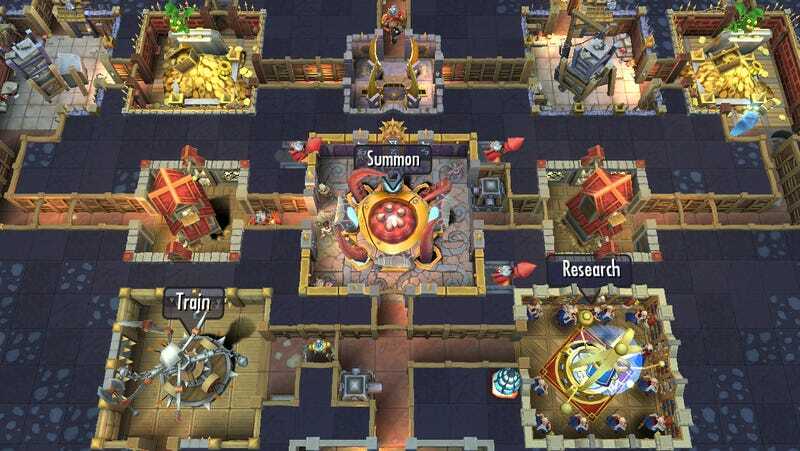 EA is bringing back Dungeon Keeper as an iOS and Android mobile game this winter. I know you're upset, PC folks. Bullfrog's classic was the sort of game you could only find on PC back in the late 90s, a monument to the versatility of our platform of choice. But doesn't it just seem perfect for a large touch screen? The game's tower defense with benefits. It's almost as if visionary game designer Peter Molyneux was looking towards the future when he created Dungeon Keeper, to a time when we'd all be touching our games. Either way, EA promises this new Dungeon Keeper will have all of the evil that made the original so compelling. Building dungeons, filling them with traps, cackling with glee. You'll be able to invade other players' dungeons with your army. There'll even be wit. We like wit. Hooray or boo, it's up to you, but Dungeon Keeper mobile is coming and there's nothing we can do. It's very late where I am right now.